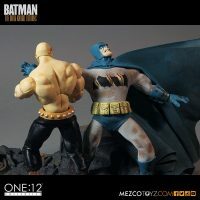 An old but still tough Batman comes out of retirement to punch a bad guy in The Dark Knight Returns Deluxe Boxed Set. 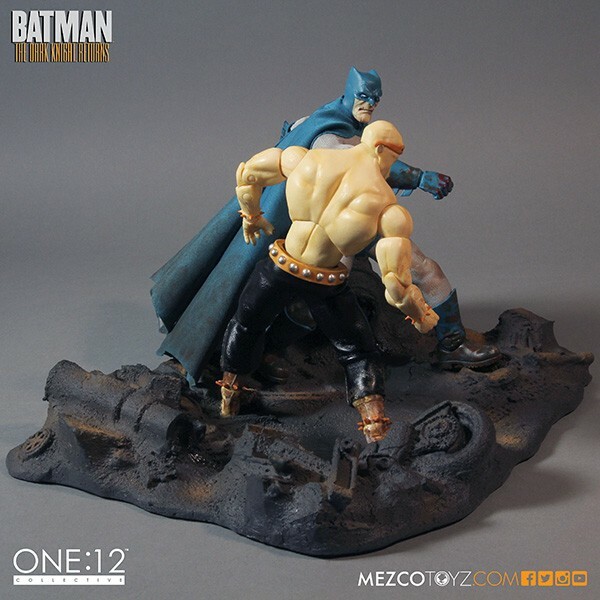 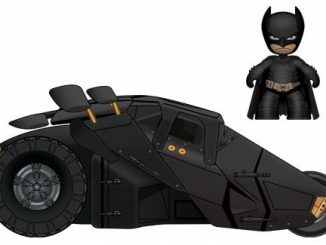 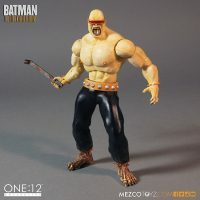 Based on Frank Miller’s classic tale of Batman once again putting on the cape and cowl, this limited-edition piece includes Batman and the Mutant Leader during their battle in the Gotham City junkyard. 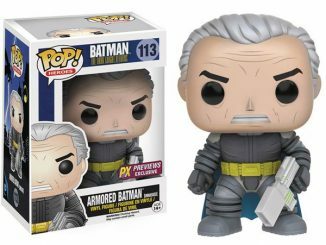 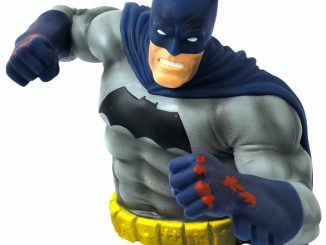 With scratches on his body and blood on his knuckles, it’s obvious the Dark Knight is a little out of practice but he manages to get the upper hand with some knock-out foam from his utility belt. 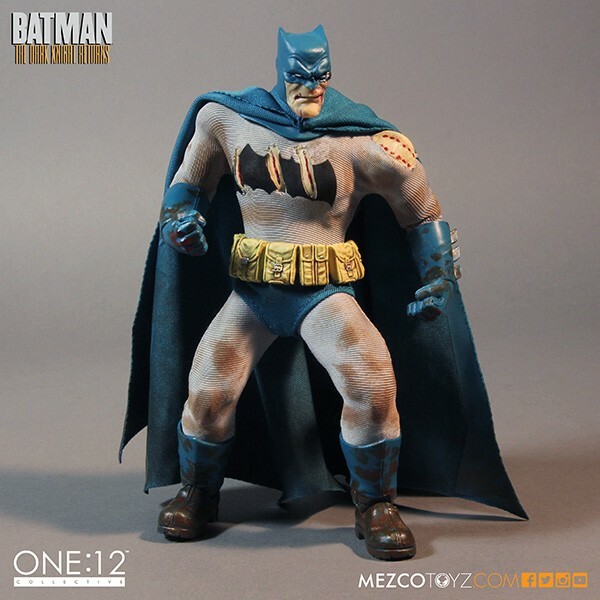 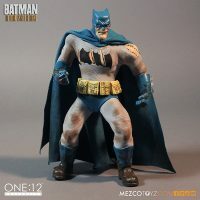 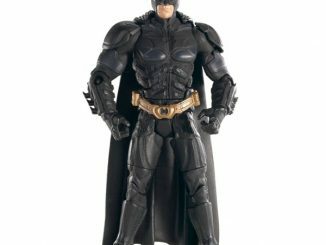 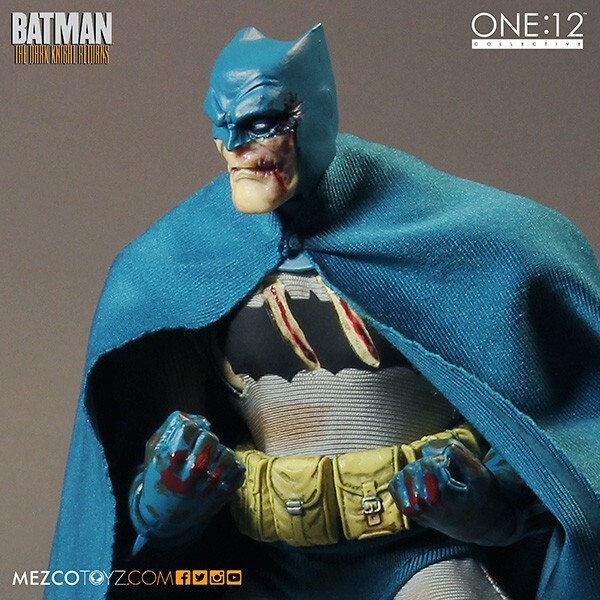 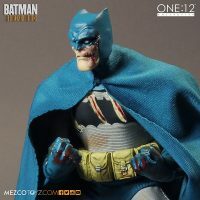 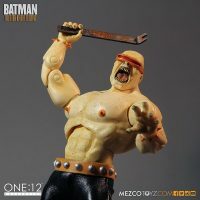 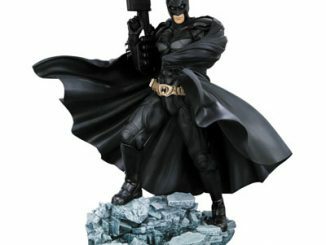 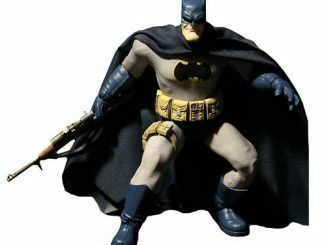 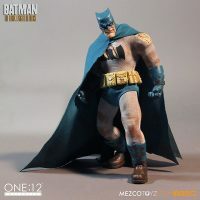 Battle Damaged Batman figure with an exclusive head sculpt, torn exclusive variant costume, alternate hands and exclusive “Knock-Out Foam” accessory designed to fit over his enemy’s face. 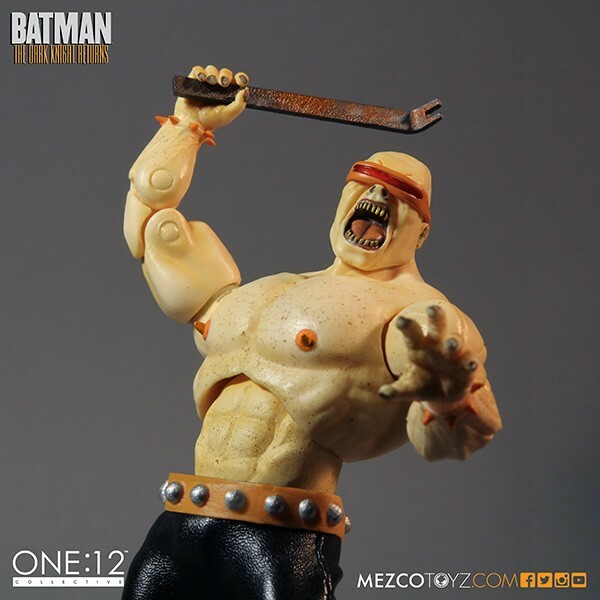 Exclusive “first look” Mutant Leader with a variant dirtied up paint application to enhance the realistic battle in the junk yard, alternate hands and crowbar accessory. 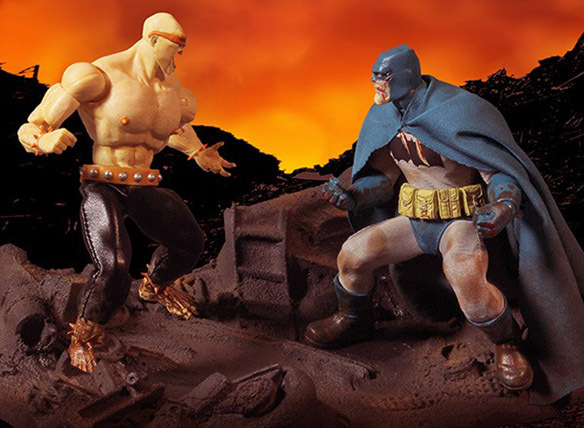 A Polystone cold casted display base of the Gotham City Junk Yard, over 10 inches long with felt footing. 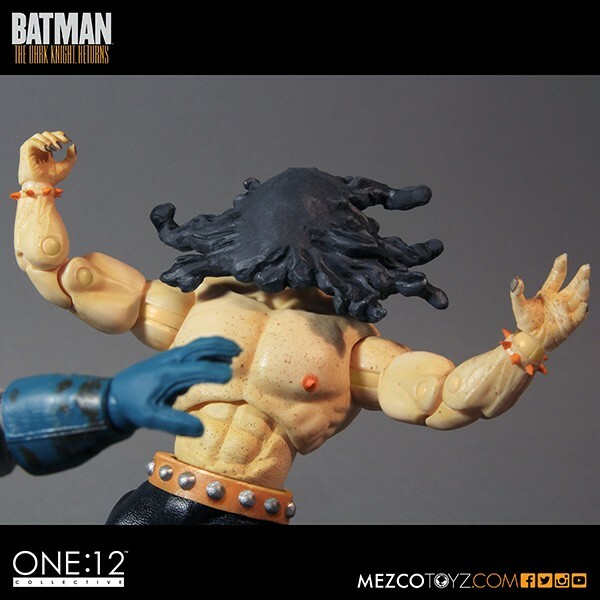 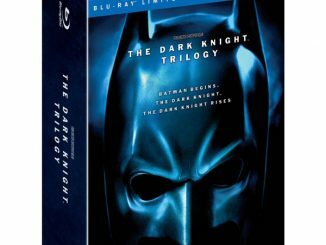 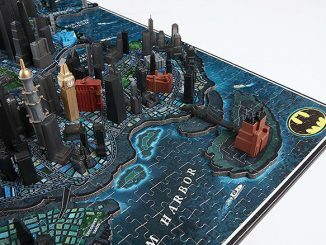 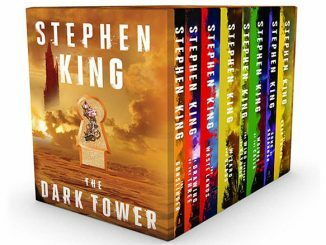 Packed in a large, closed box with a specially die-cut slip cover and utilizing the One:12 Collective’s collector friendly no- twist-tie packing method for easy in and out of box displaying. 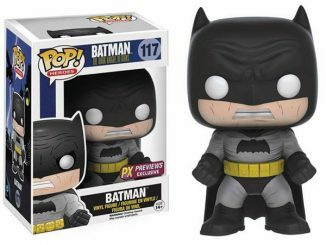 This set comes with a separately packaged Poison Ivy Mini Mez-Itz Clip -On figure. 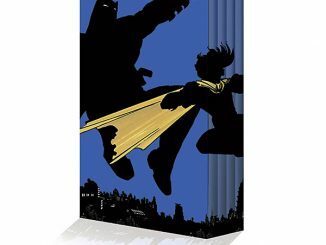 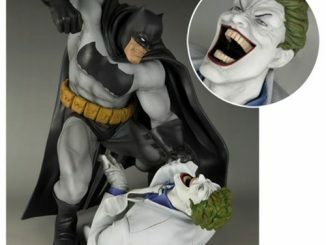 The Dark Knight Returns Deluxe Boxed Set will be available August 1, 2015 but it can be pre-ordered now for $150 at Mezco.